Are your students getting in all of their required steps per day? 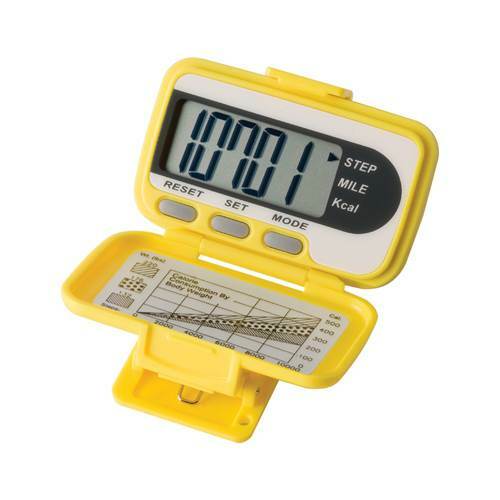 Help them track their steps, miles and calories with this EKHO Bee-Fit Worker Bee Pedometer. With a loss-prevention strap and spring-loaded alligator clip, kids of all ages can wear this pedometer as they monitor their fitness goals and activity time. The extra-large display improves readability, so students don't lose a moment of exercise as they record their progress.